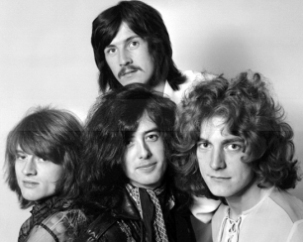 Led Zeppelin’s 1971 classic ‘Stairway To Heaven’ has been beaten by Take That’s feel-good song ‘Greatest Day’ as the best tune for giving listeners a morning boost, according to a new study of mood enhancers by US scientists. Researchers monitored body and brain reactions to 30 different pieces of music and measured which ones made listeners most excited. The Top Five songs most likely to make us smile included ‘Dancing Queen’ by ABBA (No. 3), CeCe Peniston’s ‘Finally’ (No. 4) and Van Halen’s ‘Jump’ (No. 5). Scientists have also found that listening to just 50 minutes of uplifting music a day can help the over-50s to keep their immune system in top shape – especially during the health-threatening winter months. Studies have shown that mood-enhancing music increases the release of feel-good endorphins and antibodies which help to build up the immune system. At the same time, say scientists, uplifting music can lead to a fall in stress hormone levels which can weaken the immune system. This entry was posted on March 20, 2011 at 11:53 am and is filed under Rock. You can follow any responses to this entry through the RSS 2.0 feed. You can leave a response, or trackback from your own site.